How will Budget 2019 stack up against the promises of 2018? Has all that extra tax revenue paid off? How was the R57bn for fee-free education allocated? And how will the Minister of Twitter pick up where the Minister of Instagram left off? Here's a look back on key moments from Budget 2018. Former Finance Minister Malusi Gigaba announced the first increase in the VAT rate since 1993, bringing it from 14% to 15%. According to Gigaba, this was still low compared to some other African nations. Explanation: Treasury expected the revenue generated from VAT to raise an additional R36bn, helping to plug a revenue gap of nearly R50bn. Additionally, Treasury said, VAT is less harmful to growth than raising other taxes. It was also announced that South Africans would be facing a large fuel increase in April 2018, including a 22c/litre increase in the general fuel levy and a 30c/litre rise in the Road Accident Fund levy. This was followed by a number of financial shocks for road users over the course of the year, with the AA noting at the time of the Budget that the April hike was at more than double the rate of inflation. Explanation: The increase was expected to bring in R1.22bn in additional revenue, out of the R36bn in additional tax revenue Gigaba proposed. An optimistic Gigaba unforgettably channeled Kendrick Lamar before rolling out his "tough but hopeful" budget. "As urban poet Kendrick Lamar says, 'We gon' be right, we gon' be alright,'" he said. Explanation: As Twitter would have it, a ministerial trend. "At the risk of being called the Minister of Instagram", as he put it, Gigaba took a moment to throw in a quip at a social media user who had suggested he work on a possible Candy Crush addiction when he was caught on his phone at a key political event. "Others need far [more] serious rehab on my left," he added. An earlier property audit by the Department of Public Works revealed that national government owned some 195 000 properties valued at around R40bn. Budget 2018 saw Gigaba promising that government would work on "better utilise or dispose of" some of these properties in a bid to raise money to bail out struggling state-owned companies. Explanation: Struggling SOEs need financial support from government and disposing of non-core assets could help. Gigaba also mentioned "strategic equity partners" and "direct capital injections", though he did not go into further detail. 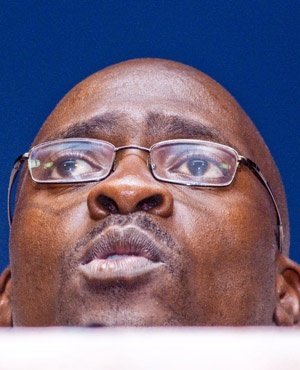 According to Gigaba, "government recognises that the business models of some state-owned companies are unsustainable and their capital structures too reliant on debt". Gigaba gave more detail than had previously been available on the budget for fee-free education, with "reprioritisation" becoming a key word in 2018's vocabulary (it would later also feature prominently in President Cyril Ramaphosa's economic stimulus package). According to Gigaba's Budget, a total of R57bn would fund the phase-in of fee-free study for poorer students over the next three years, thanks to savings from other areas. Explanation: The budget review document released by National Treasury acknowledged that costs associated with fee-free higher education and training were "uncertain". Among other things, transfers to provinces were reduced by R5.2bn, and local government faced a reduction of R3.2bn as a result of the reallocation, Fin24 reported at the time. Revenue – lots of it – was not being collected. SA had an estimated revenue shortfall of R48.2bn for 2017/18, which was later cited by deputy director general at National Treasury Ismail Momoniat as the reason for the VAT hike. Explanation: At the Nugent Commission of Inquiry into tax administration at SARS, Momoniat bemoaned that SARS had become "more and more opaque" and that the Commissioner had too much power over the tax agency. "You need to be cleaner than clean," he said.